‘Don’t forget who you are. You are a fighter. 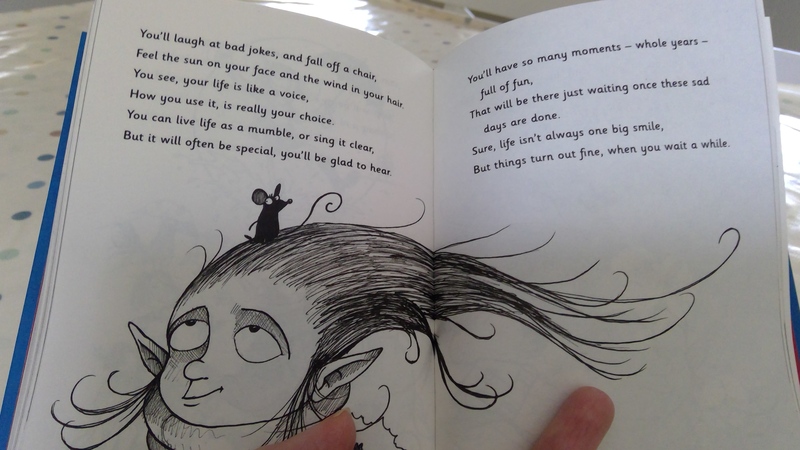 you will find the bad stuff has good bits too. 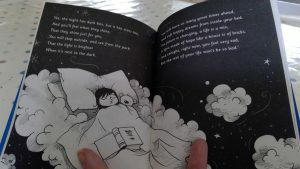 This book caught my eye as the author, the phenomenal Matt Haig, described it on Twitter as a ‘comfort guide for kids through their more worried moments’. 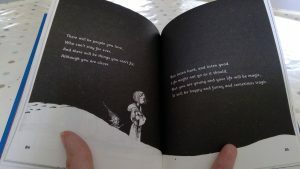 I have a daughter who is a bit of a worrier, and so I thought that it might be helpful for her. Published only last week, it arrived yesterday and I’ve got to say that it’s absolutely brilliant! It’s essentially a short and sweet rhyming story about telling the truth even when it’s difficult, and also about being okay with who you are. It’s brought to life by Chris Mould’s fabulous illustrations. 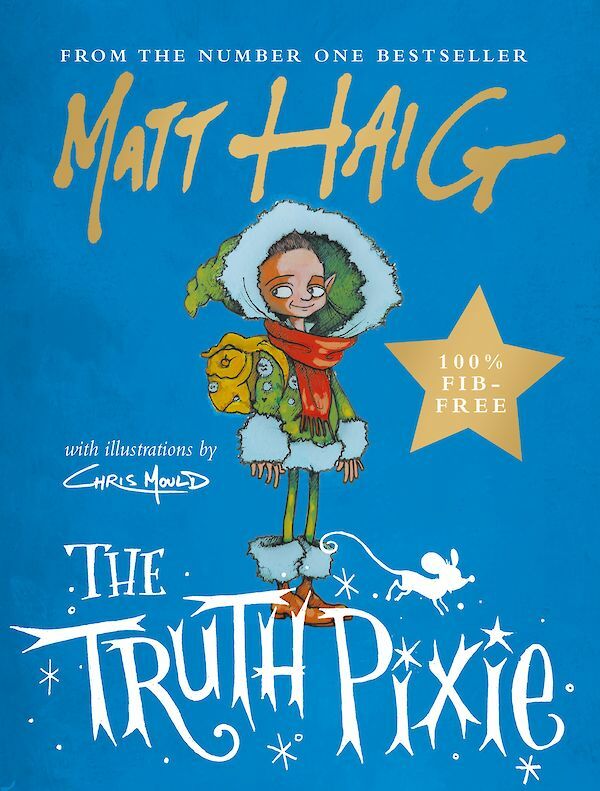 Some of you might have met the Truth Pixie before, as she made an appearance in Matt Haig’s A Boy Called Christmas (which will soon be reviewed on the blog as part of my forthcoming ’12 books of Christmas’ blog). She is obviously now the star of the show in this stand-alone book, along with her side-kick, Maarta (a mouse), who lives in her hair – in fact Maarta poos in her hair at one point, which means that this book is already a sure-fire hit with my son! 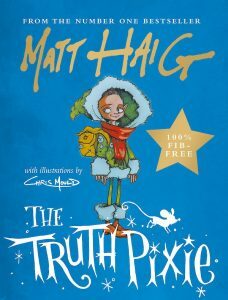 The Truth Pixie was cursed by her Great Aunt Julia to always tell the truth; as we know all too well, sometimes the truth hurts and as a result, she is cast out by her family and friends, destined to live alone in her little yellow house. 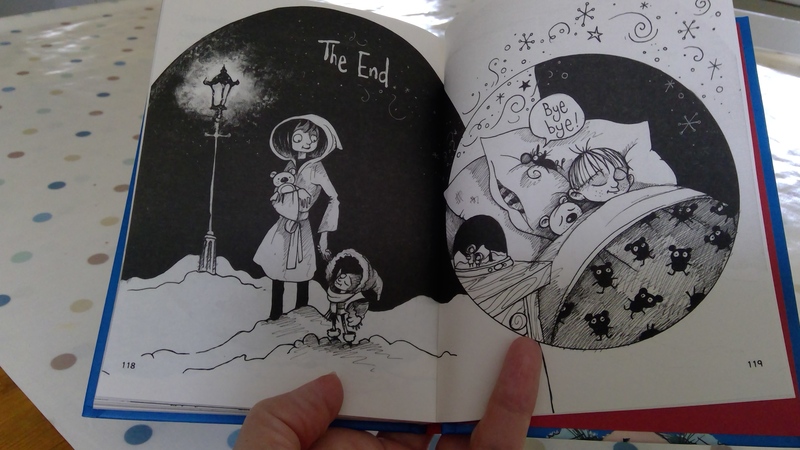 One day, however, after a run-in with a nasty troll, she (literally) flies into the life of a sad young girl and by telling the truth gains a friend for life.